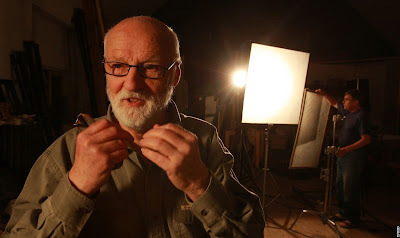 Wanna be like Švankmajer and animate stuff too? How are creatives using Vine to make money in 6 seconds (up to $10,000)? What else, besides Hollywood creatives funding, acting and directing in Funny or Die, has been crucial to Funny or Die's success? Why is everything you know about binge-watching wrong? How do you interview a documentary subject, even if they refuse to talk to you? What is going on inside the mind of an Emmy voter and what do you have to do to get his or her vote (pt. 1 and pt. 2)? What questions should you ask to evaluate your script for marketability? and, for those filmmakers looking to repurpose, remake or adapt past great works , what entered the public domain in 2013?